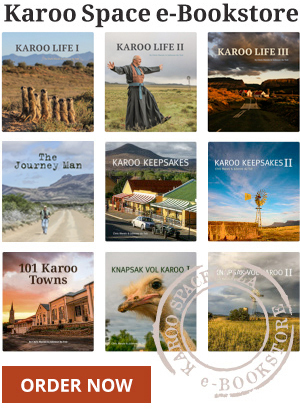 A spectacular and unusual three-man journey into South Africa’s Dryland – with a bit of help from Karoo Space. Namaqualand – The High Road Less Travelled. A roadside encounter in Namaqualand. The Diamond Coast Route explored between Alexander Bay and Hondeklip Bay. Mense wat in die Richtersveldse diamantdorpie, Alexanderbaai, werk, was op ‘n tyd verdeel in die binnekampers en die buitekampers. Every year, in spring, the Namaqualand desert blooms into billions of daisies. Here’s a how to take in this staggering beauty. People working in the Richtersveld diamond town of Alexander Bay used to be divided into Binnekampers and Buitekampers – those who lived inside the restricted area and those who were outside the fence. Travellers love the misty seaside atmosphere of Hondeklip Bay. As you approach the Namaqualand village of Kamieskroon on the N7, it presents a picture of rural tranquillity that makes one dream about living here some day in the future.